5 Best Amazon Deals- The weekend might be over, but that doesn’t mean it has to be all work and no play. I mean, you’re here right now so you’re either looking for a distraction or killing time until your lunch break. Good thing, though. There are some pretty awesome deals happening on Amazon today. LG’s discounting the best TV of 2018 to make room for 2019 models, you can get a discount on the tax software you should really buy early this year, and there are more great deals on other things we’ve tested and love. Check out the top deals of the day to see if anything here has been on your wish list. The new year means it’s time to start thinking about doing your taxes. I know, I know. No one wants to deal with taxes, but it’s just part of life. This year, instead of letting it eat away at your subconscious while you procrastinate until April, start early and save. 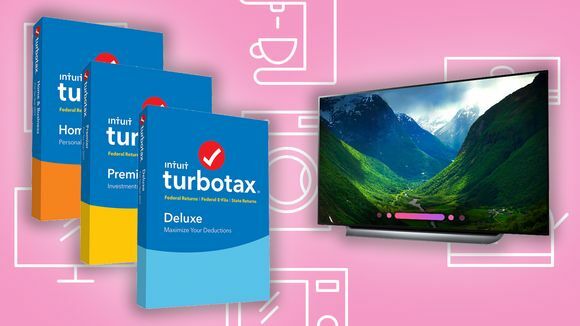 Right now, you can get TurboTax software for $20-$45 off, whether you need something simple or something more complex. We put TurboTax, H&R Block, and Tax Act to the test last year and found that TurboTax’s software was the easiest to use, making it our top choice. I am a self-proclaimed phone addict. I use it on my commute, when I’m bored in a meeting, in the bathroom (what, we all do it, ok?! ), at the dentist, everywhere I need to kill some time. So I get that “low power mode” option on a pretty regular basis. When I’m out and about, there’s nothing worse, so I carry a portable charger with me. But mine only charges my phone up 75% of the way once before I need to recharge it. I’ve been considering taking advantage of Reviewed’s exclusive coupon code to get this insanely powerful This high-capacity charger, an upgraded version of our favorite USB battery pack, can offer you piece of mind for the whole week, and with our coupon code, you can get it for a great discount. The LG C8 is the best TV on the market right now because its OLED picture quality is as stunning as the more expensive models at a mid-range price point we think offer the perfect balance of quality and value. Right now, the 55-inch TV is back down to the second lowest price we’ve ever seen, likely to clear out space for the 2019 models. It’s actually the best price Amazon’s ever had, and only Massdrop has offered a better price.